Haley’s Homestead is a family owned and operated farm located at Rockin R Ranch in Hico TX. We strive to provide you with quality, sustainable products produced with your family's health in mind. Our animals are all naturally raised; free of hormones and antibiotics and eating what nature intended. We raise high quality, grass-fed beef, lamb, and goats, pastured pork, and free-range poultry and rabbits. We keep a tightly managed pasture rotation schedule to prevent overgrazing in order to continue to provide sustainable food to our family and yours, year after year. Our garden provides naturally grown fruit and vegetables of the highest quality! Here on our farm we strive to go green and use all-natural chemical free methods. We also place special emphasis on heirloom and rare varieties and organic seeds. We like to plant many different companion flowers in our garden and often have beautiful, cut flowers available for purchase. 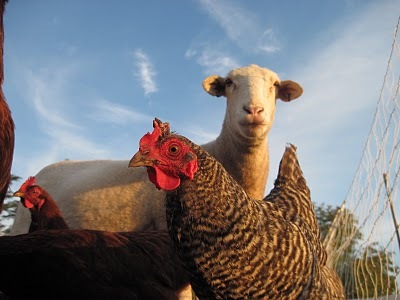 Haley’s Homestead offers a Community Supported Agriculture (CSA) Program for our meat. Dairy Herd shares are available for those people interested in raw milk. Our produce is sold retail right here at the farm and via our online Farm Stand when available. Also, visit our online store for farm merchandise and handcrafted, artisan goods including: soap and other skin care products, jewelry, canned and pickled garden products, jellies and jams, signature salsas, honey, and much more! Interested in taking a tour of our farm? We would love to show you around! Tours are available by appointment only. Why not make it a weekend getaway? There are many great B&Bs nearby, from small town on the square to huge ranch retreats. Just ask us for suggestions and come explore this great area of Texas! Haley started Haley's Homestead with a dream to be able to provide healthy sustainable food for her family year round. It began as a place to cut back on the grocery bills and has grown into a wholesome farm with the ability to provide nutritious food to local families interested in knowing their farmer and supporting sustainable agriculture. Haley is a wife, a mother, and a farmer who loves every part of her crazy, busy life! Haley's Homestead is for people who want to know the farmer that raises their food and be sure that the meat they consume is humanely raised without any hormones or antibiotics. It is for people who seek a deeper understanding of and connection to the food cycle - It is also for people who love great tasting meat!